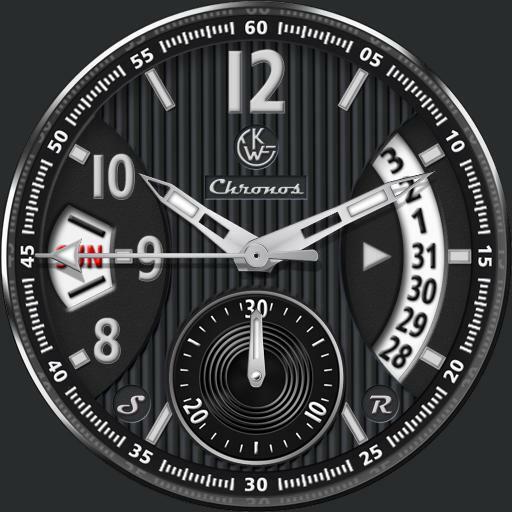 Tap Center to cycle dial colors, black, blue, red, green, orange, yellow, cream, silver and white. Changeable via script hex code in script. Tap sub dial to park hands and switch to Chronograph mode. In Chronograph mode tap S area to start/stop Chronograph. Tap R area to reset Chronograph. Tap dial again to return to time mode. Tap 12 area to cycle dim modes, Auto Always, On Normal, Always On, Off and Auto On. Default is Auto Always but can be changed in script to your liking. Tap Day area to cycle lume color choices, blue, green, orange, yellow and red.